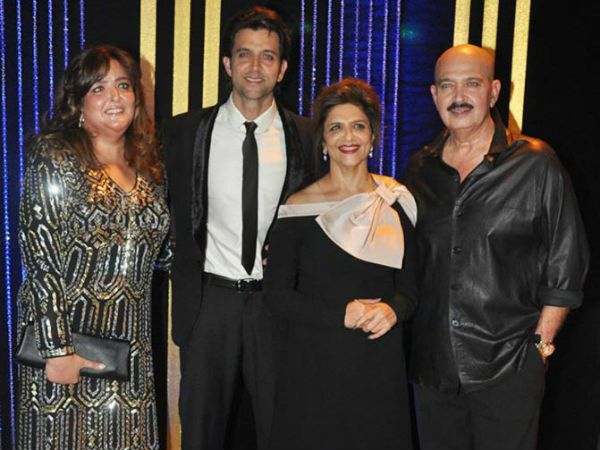 Hrithik Roshan’s father Rakesh Roshan has been diagnosed with throat cancer and is undergoing treatment currently and as per latest reports, he is recovering well and is expected to defeat the deadly disease in the coming months. 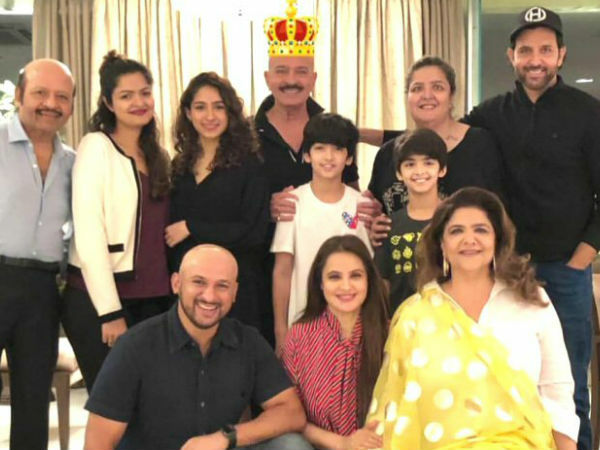 It’s a tough and testing time at the Roshan residence and Hrithik Roshan’s sister Sunaina broke her silence on her daddy’s cancer recovery by saying that he is a fighter and has faced bigger challenges in life and is now in good spirits. 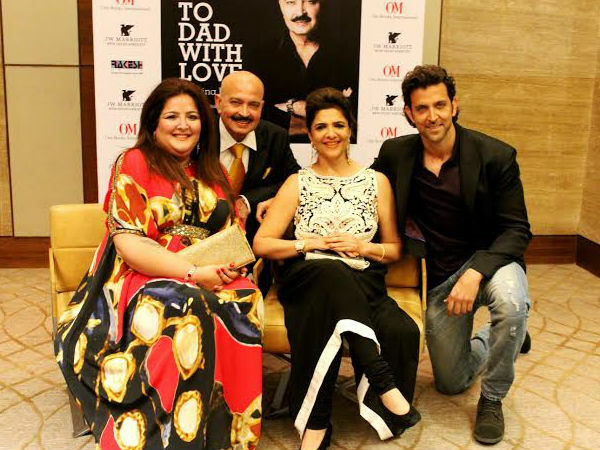 Sunaina said her daddy dearest Rakesh Roshan will soon defeat cancer and come out as a victor. “He is a very strong man. He has faced much bigger challenges in life. This small thing didn’t bother him much,” she said to Spotboye. “He is in very good spirits and recovering very well. Every cancer patient needs to go through some changes in his/her nutrition, which he has to follow as well. He used to smoke but only occasionally. 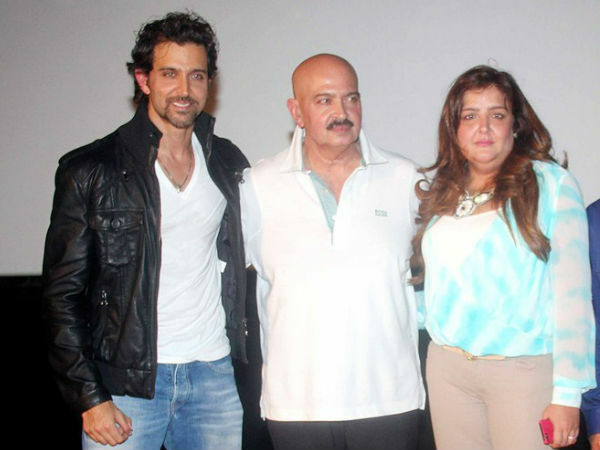 Now, he has completely stopped that,” said Sunaina. “Dad was operated by Dr. Vijay Haribhakti, at Sir H.N. Reliance Foundation Hospital. The guidance from expertise of Dr.Jatin Shah, eminent doctor from Sloan Kettering and a part of global panel of international doctors at Sir H. N. Reliance Foundation Hospital made the surgery a super success. Our experience was incredibly comfortable, informed and assured,” she said. “Not only did we as a family feel confident about the medical aspects at Sir. H. N. Reliance Foundation Hospital, but added to that, the staff, the nurses, sisters were all extremely articulate and thorough and very warm and caring. He was discharged after a successful surgery for his medical condition on January 11, 2019, only two days post his surgery,” Sunaina summed it up to Spotboye.